Gali Guleiyan will be screened at Indian Film Festival of Melbourne next! After bagging many awards in its name, Gali Guleiyan will now be traveling to Indian Film Festival of Melbourne along with the other critically acclaimed films. Appreciated by critics all over, Gali Guleiyan (In the Shadows) is a psychological drama about an isolated paranoid man, who is slowly losing his grip on reality. The film will be releasing in India as Gali Guleiyan. Having been to many renowned International Film Festivals now, the film has garnered appreciation from one and all. In 2017, Gali Guleiyan premiered at the Busan International Film Festival, Chicago International Film Festival & Mumbai’s MAMI, and also went on to win the Grand Jury award. It was also screened at the prestigious 42nd Cleveland International Film Festival, the Indian Film Festival of Los Angles and the Atlanta Film Festival amongst others. 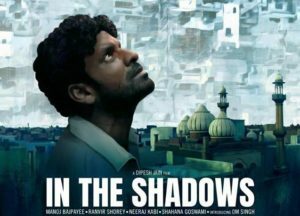 Manoj Bajpayee who has been nominated as the best actor for Gali Guleiyan said, “In the Shadows (Gali Guleiyan) in the nominations at the Indian Film Festival of Melbourne and it gives me great pleasure to say that. I am really happy that two of my films have been nominated in several categories and I myself have been nominated for Best Actor.” He also expressed his happiness over the versatile genres of films, he’s been working on and how the movies are been talked about and appreciated in the international market as well. Here’s wishing the team of Gali Guliyan all the best for the film! 18 queries in 0.366 seconds.